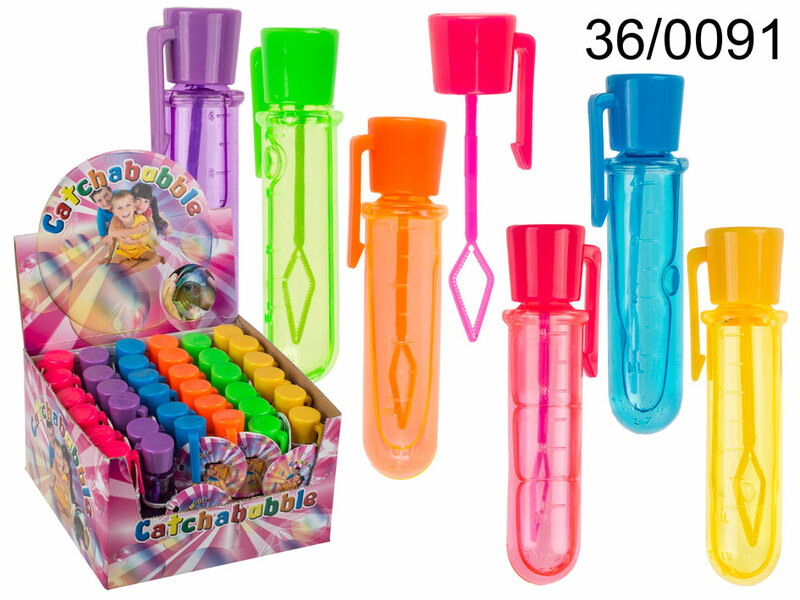 Catchabubble solution produces thousands of bubbles that last! Unscrew the stopper and remove the bubble wand from the tube, allowing excess solution to drip back into the tube. Aim the bubble wand upwards and blow gently for a stream of bubbles. Wait a few seconds for the bubbles to harden and catch it! Capacity: 10 ml. Assorted colours.